Nearly everyone will experience a headache at least once during their lifetime, according to MedlinePlus. Tension headaches, the most common type of headache, result from muscles in the shoulders, neck, jaw and scalp that are too tight from stress, anxiety or depression. Other types of headaches include migraines, cluster headaches and headaches from sinus congestion. Diet can also cause different types of headaches, and there are a variety of foods that can trigger these conditions. 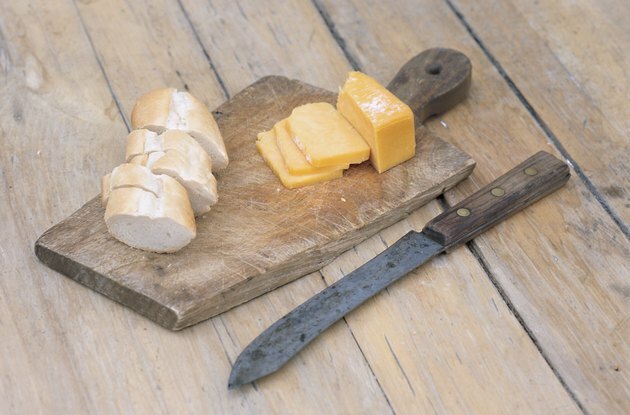 Aged cheese like Parmesan and cheddar can trigger headaches because they contain an amino acid called tyramine. Tyramine forms when protein breaks down in foods as they age. When those with tyramine sensitivities eat foods containing it, conditions like heart palpitations, nausea, vomiting and dangerously high blood pressure can occur. It causes headaches, particularly the variety called migraines. In addition to Parmesan and cheddar, those prone to headaches should avoid brie, blue cheese, Swiss cheese, Stilton, Roquefort, mozzarella, Emmentaler, Gouda, provolone and American cheeses. Eating low-fat processed cheeses, ricotta, cream cheese and farmer's cheese should not trigger headaches. Chocolate can trigger headaches for those sensitive to caffeine and tyramine. The Center for Science in the Public Interest website lists 1.45 oz. of some dark chocolate as a high-caffeine food, containing 31mg. A 1.55 oz. bar of milk chocolate may contain approximately 9mg of caffeine. This stimulant should be limited to 300mg per day for normal adults, but those who are sensitive to caffeine may need to consume far less to avoid triggering headaches. The National Headache Foundation website reveals that most people experience the effects of caffeine, including the caffeine in chocolate, within 30 minutes of ingesting it. Withdrawal from caffeine may also trigger headaches, but chocolate and other foods that contain caffeine must be eaten daily, amounting to at least 15g over the course of a month to get to the point where a person will experience withdrawal. There is some evidence to indicate that chocolate may not cause headaches. Evidence presented at the 2009 International Headache Congress suggests that diets enriched with cocoa may prevent headaches. The National Headache Foundation indicates that all nuts, including peanuts, pumpkin seeds, sesame seeds, walnuts and pecans can trigger headaches. 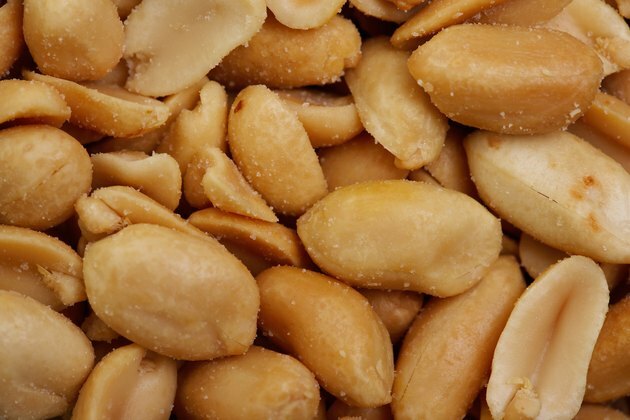 Nuts contain high levels of tyramine. Foods made from nuts, like peanut butter, may also be problematic for those sensitive to this amino acid. The Migraine Headaches & Treatments website indicates that nuts contain chemicals called vaso-active amines, which enlarge blood vessels and cause them to press on nerves. This can trigger migraines and other headaches.